The volunteers at the Shade Garden routinely create flyers to highlight seasonal items of interest in the garden. 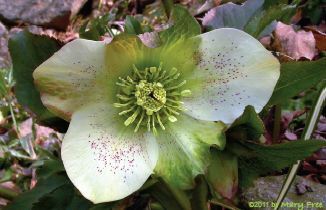 Lately added to the display case is the Helleborus Flyer (PDF). Read online and plan a stop by the garden for later! This entry was posted in Demonstration Gardens, Shade Garden. Bookmark the permalink.